Canon PIXMA MG4250 Review - Compact and advanced All-In-One with print, copy and scan functions. 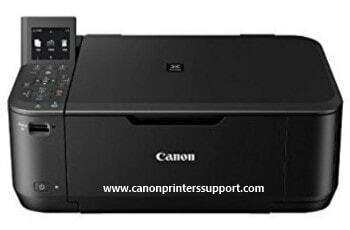 With Auto Duplex, color screen and Wi-Fi, it offers smartphone and Internet printing plus Apple AirPrint support. Get more from your printer with the freedom to print directly from the Internet. Print photos in seconds from CANON iMAGE GATEWAY without using a PC. Produce calendars, download stationery and other templates direct from the PIXMA Cloud. For ultimate flexibility, it’s possible to print from and even scan to your smartphone and tablet, around the house, using Canon PRINT app. With Apple AirPrint support you can also print photos, emails, web pages and other documents wirelessly from your iPhone, iPad and iPod touch. Print more for less. XL cartridges provide significantly more prints than their standard equivalents ensuring more extended periods between ink replacements ideal if you print a lot. More cost effective XL FINE cartridges can offer you savings of up to 50% per page. Bring memories back to life, using the photo organizing capabilities of My Image Garden software, which includes face recognition and the ability to combine photos in creative ways for printing. This one-stop software also makes it easy to scan, create PDFs and access online services. The Print Your Days app lets you print photos direct from Facebook. Auto Duplex printing reduces the amount of paper you use and creates professional looking double-sided documents. Auto Power On automatically turns the printer on when you start printing and Auto Power Off switches the printer off if not used for a set time saving you energy. The FINE cartridge system with min. 2pl ink droplets and up to 4800dpi print resolution deliver high levels of detail. With a rapid ISO ESAT A4 document print speed of 9.9ipm mono/5.7ipm color, it produces an A4 color copy in approx. 20 seconds. Perfect for speedy, quality printing of documents and images at home.